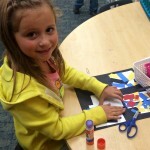 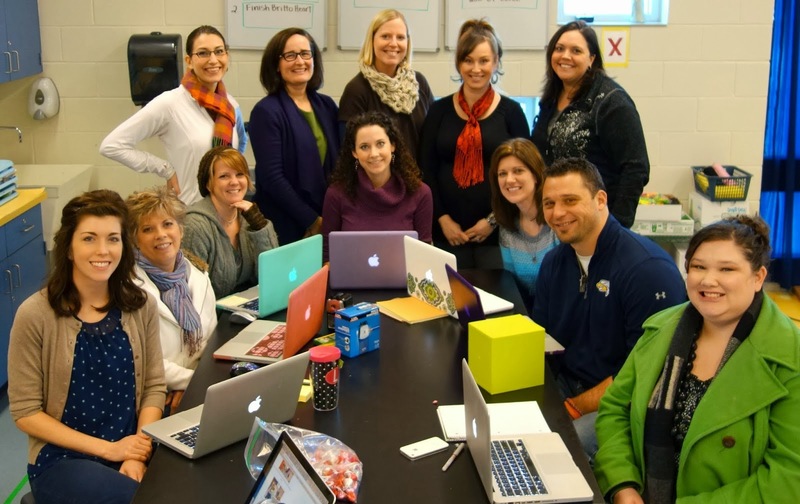 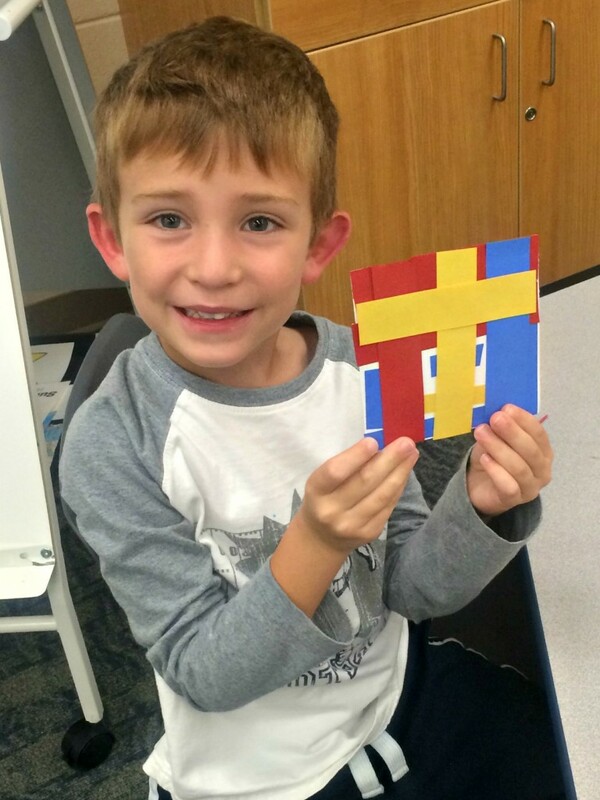 At Hudsonville Public Schools, each elementary grade has at least three artists they are required to be introduced to. 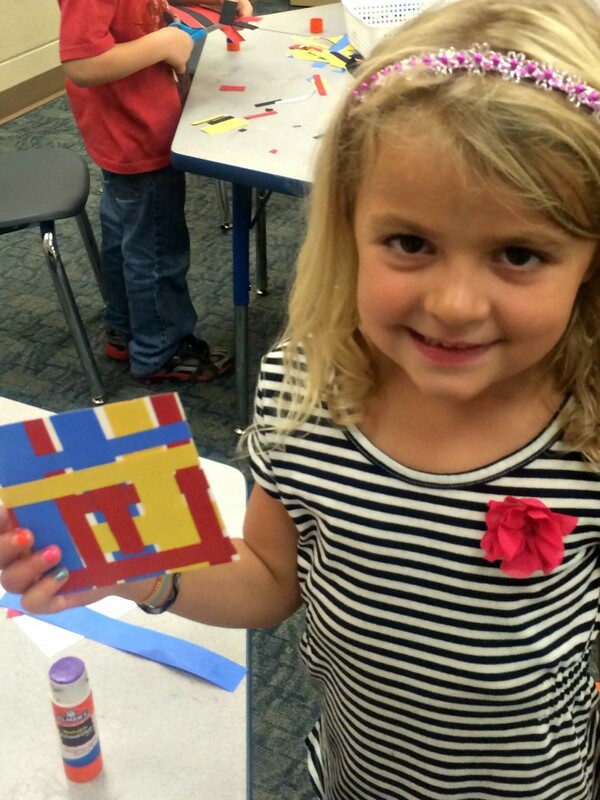 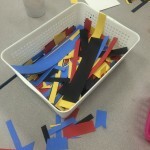 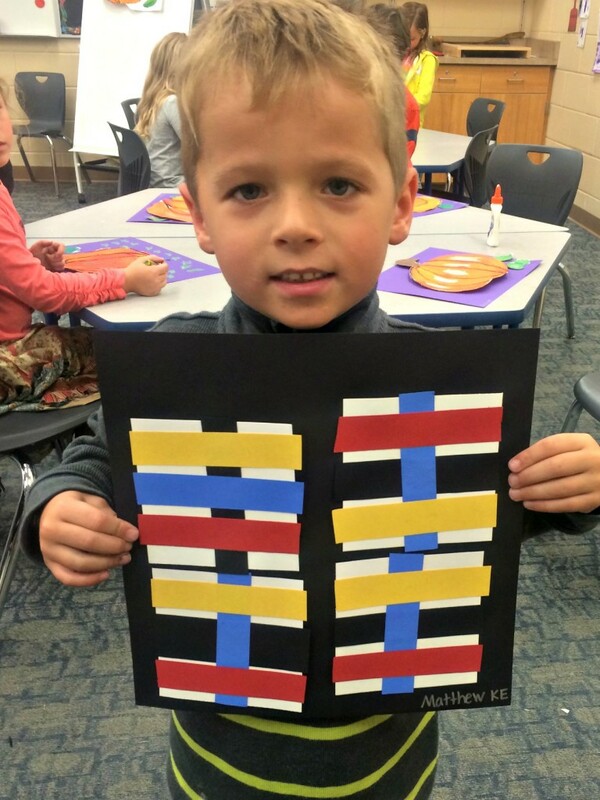 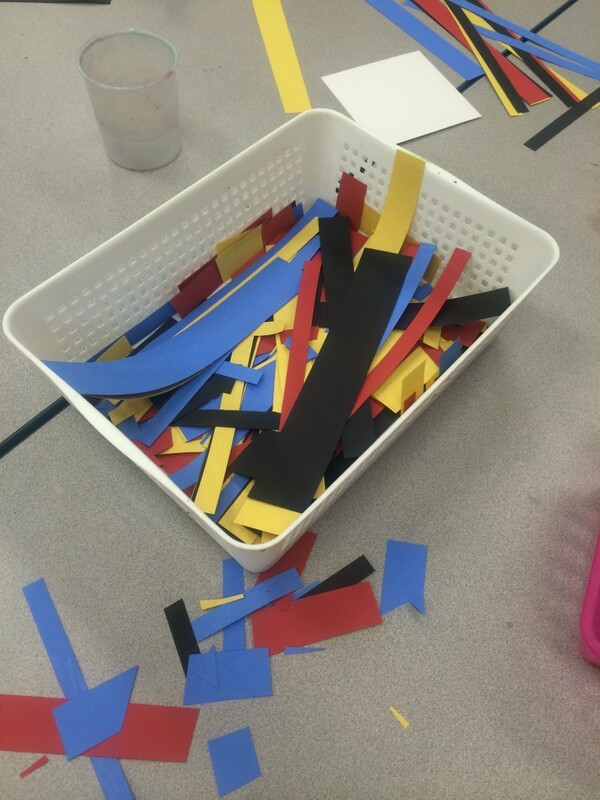 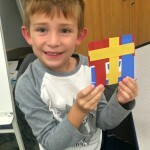 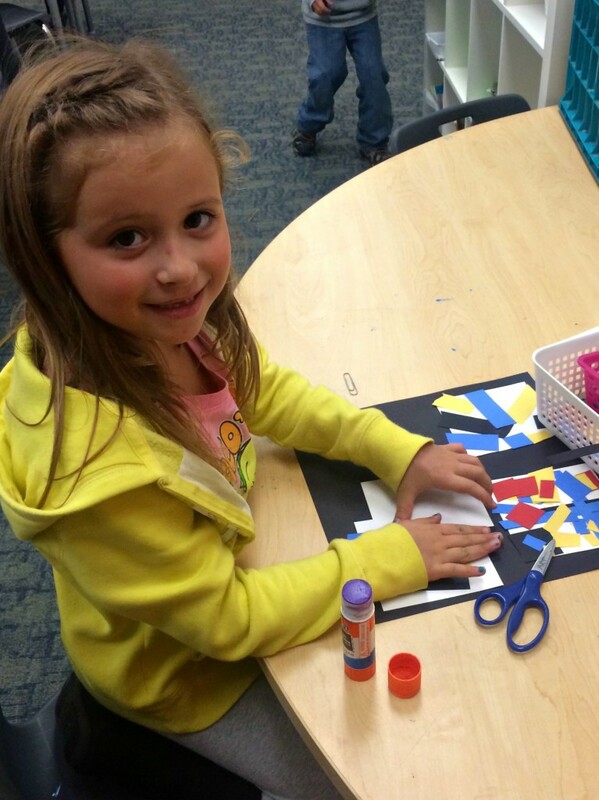 Dutch artist, Piet Mondrian, is one of the artists for Kindergarten. 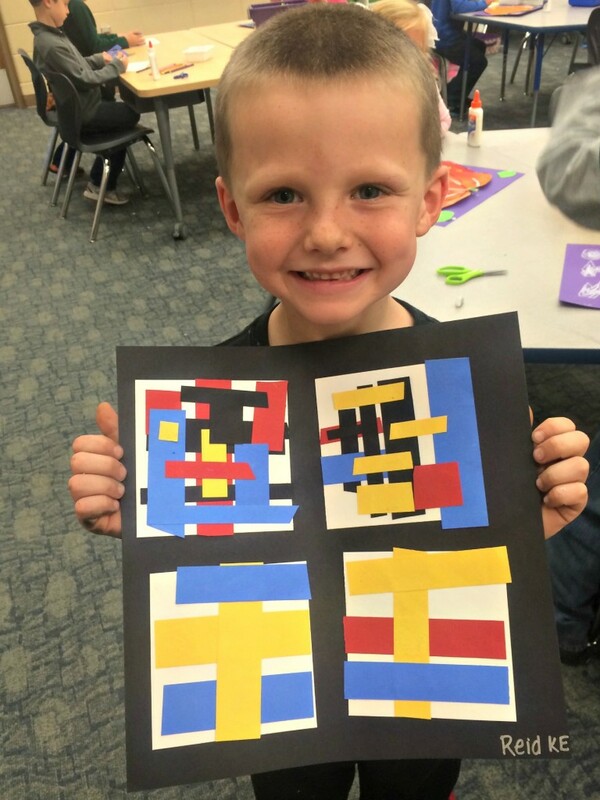 Kindergarten students at Georgetown Elementary had fun learning about him because he painted with primary colors and straight lines. 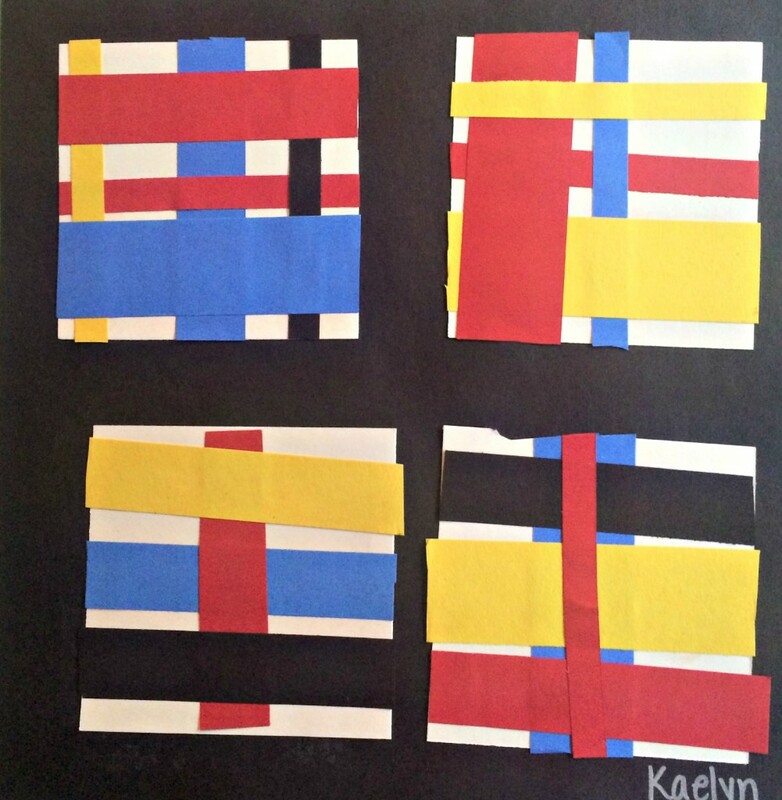 Each artist made four small squares by gluing strips of paper in Mondrian style, and many made an extra one to take home with them. 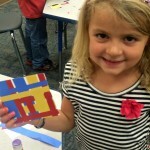 See more Mini Mondrians at our ARTSONIA on-line Art Gallery!